We have numbers on this week’s chart on RPW 2016 cross stitch challenge. The chart is available here. We are half way in the challenge, which started on January 2016. I thought we would be half way into the chart too. No, it is not to so. It seems they have just reached 1/3rd of the sampler. Then it would mean, either the work done on each week might be more or might increase. I thought yesterday’s chart was completed on RPW2016 challenge, till I saw gap on ’w’ left unstitched. So deleted the image and promptly worked on it last evening. The completed image. The chart is on their blog. 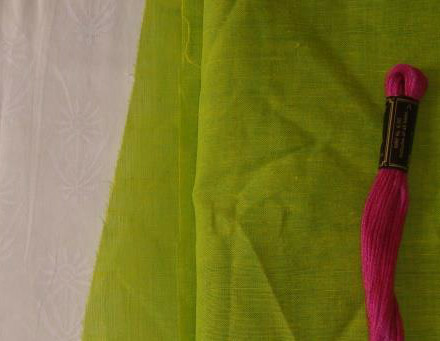 This chanderi fabric either in cotton or silk is available in Chennai, as running materials or sarees or dupattas or stoles. The patterns and colours are pleasing to the eyes. 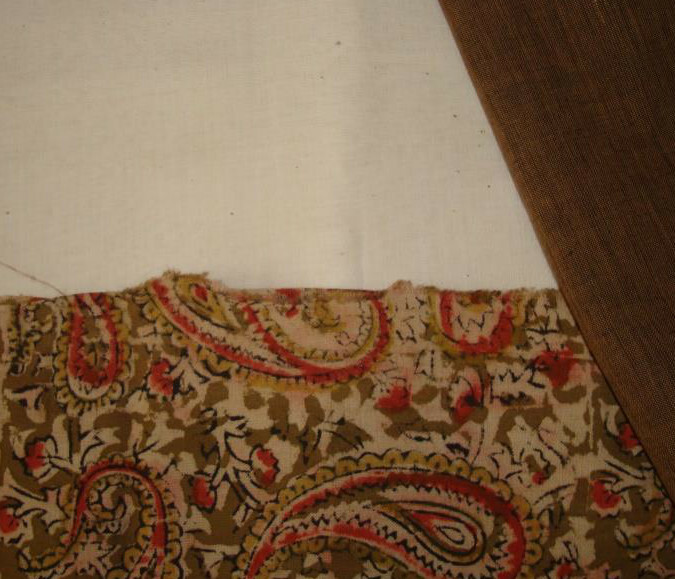 the cream printed fabric is chanderi silk. 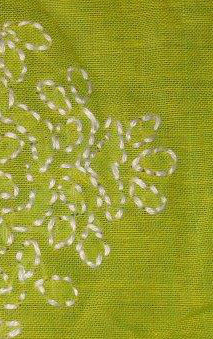 The embroidery design was a small border to be worked in chain stitch. I am used to working with mirrors. We get numerous borders worked with mirror like discs which are light weight and can be attached to the fabric with silk threads. 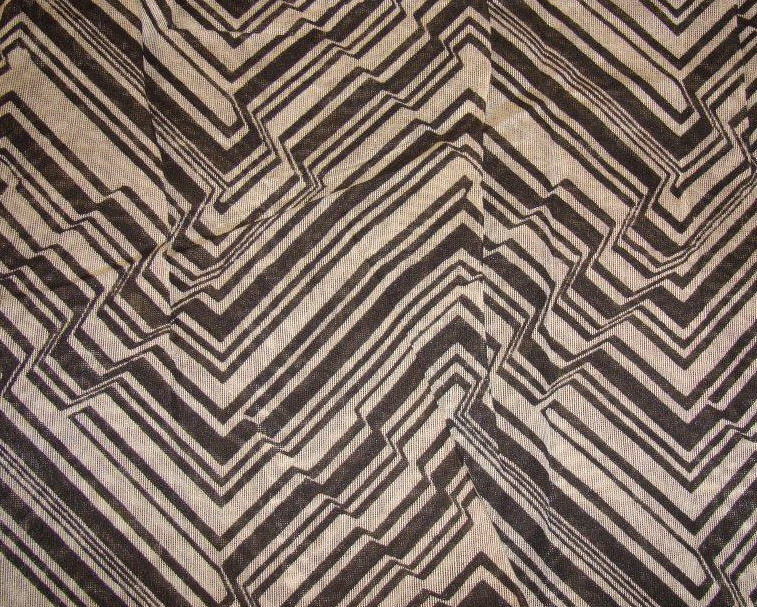 This design was inspired by a design on an antique pattern book. Started the project with chain stitch in metallic gold thread. Two chain stitch rows and the small triangular shape fillings in herringbone stitches were worked with red fine silk thread. 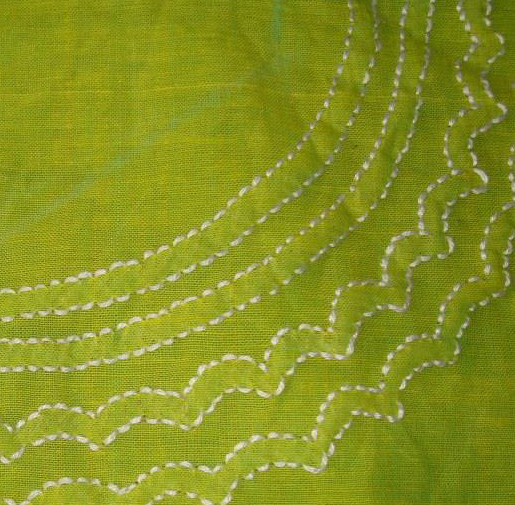 Another chain stitch outline and leaf stitches were worked with cream colour anchor skein. Generally these discs are held with glue and the securing stitches are worked around the edge. Instead of using the glue the disc was held tightly to work the securing stitch in red fine silk thread. It did not pose a problem in this case. 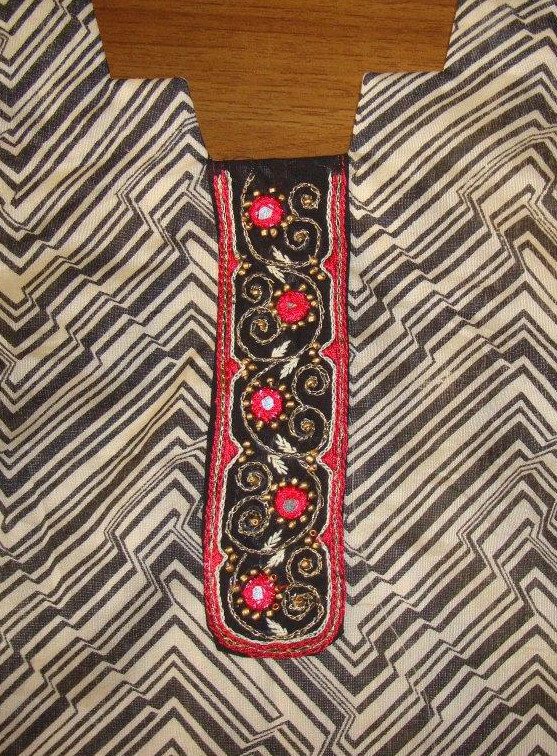 Some gold beads were then attached to this embroidered piece. 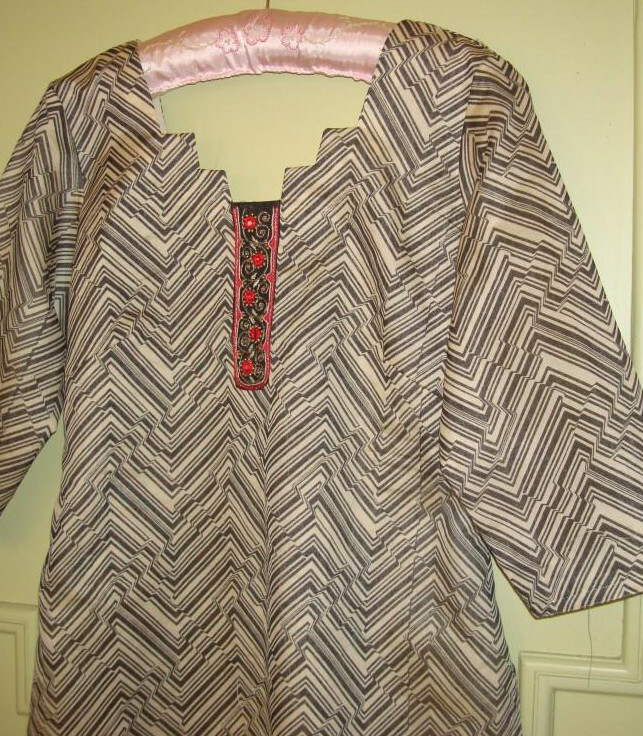 A cream cotton fabric was used for lining this tunic. The bigger alphabets surely take more time to work. Today’s chart on RPW2016 challenge is available here. Looking at the image, I realize that two extra stitches are worked on ‘K’ they need to be removed. Tomorrow’s work.